This streamlined white vehicle probably looks a lot more like a motorcycle than a cell phone, right? According to the company that designed it, it’s both of those – and a car, too. The C-1 from Lit Motors is a gyroscopically-stabilized motorcycle with an unprecedented amount of connectivity. 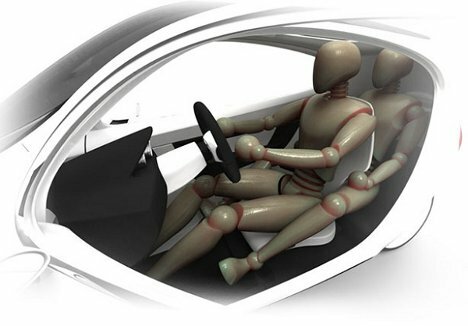 And thanks to its beautifully designed exterior, it offers the weather protection and safety of a small car. Designed around a human-centered approach, the C-1 gives you only as much room as you need. Because there is no excess space being wasted, the vehicle can go up to 200 miles on one charge. And with top speeds of around 120 MPH, it’s powerful enough to satisfy even the people who swore off electric vehicles. The C-1 definitely is not a family car, but there is room for one passenger to sit motorcycle-style directly behind the driver. The vehicle’s steering wheel features a control panel for its extensive connectivity. The C-1 receives information from various sources, informing the driver of construction, traffic and poor weather conditions so that the route can be adjusted if necessary. 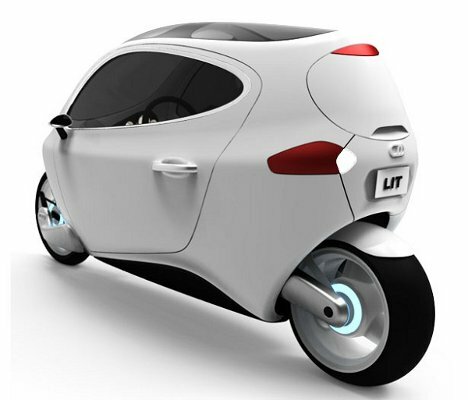 This commuter vehicle is slated to go into production in late 2014. 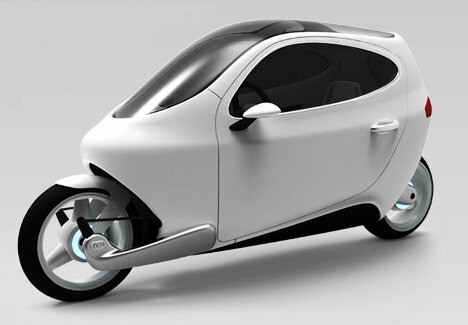 There is no word yet on the expected price, but it is easy to imagine this strange hybrid motorcycle/car being a hit with those who want the small size and maneuverability of a motorcycle with the safety of a car. See more in Concept Vehicles or under Transportation. May, 2012.